Taking a break from photo, video journalism and overall freelance reporting in the State House for awhile and announcing tonight that I have accepted a position as the new CD2 Field Organizer (Lewiston Office, Western Maine Counties) for the Bernie Sanders 2016 presidential campaign, located at 110 Lisbon St in Lewiston (the old Lamey Wellehan building). Once again, the video of Senator Sanders in Portland last year. 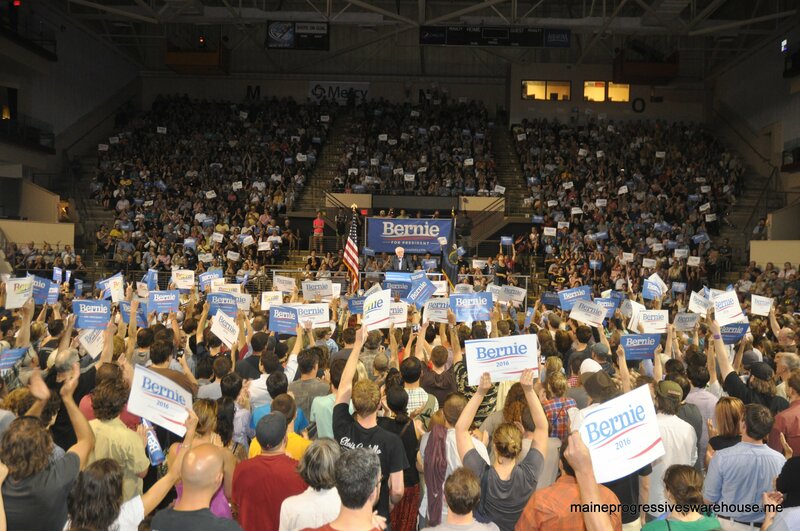 Vermont Senator Bernie Sanders, running for the 2016 Democratic presidential nomination, spoke with thousands of enthusiastic supporters on July 6th at the Cross Insurance Arena/ Portland Civic Center. Crowd estimates range from 7500 (MPBN) to as high as 9000 (BDN). Today at the State House, U.S. 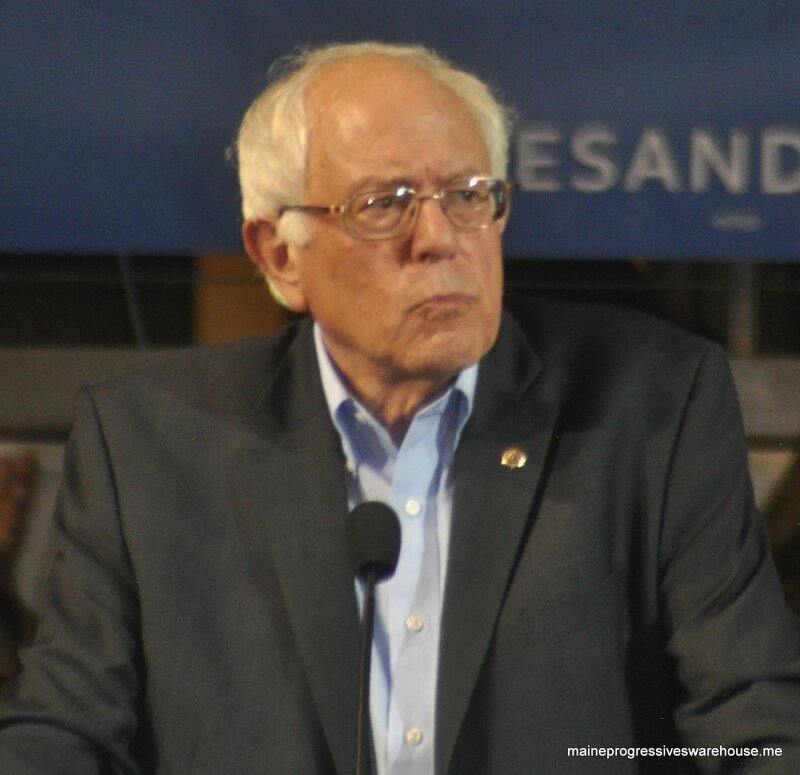 Senator Bernie Sanders’ presidential campaign announced the creation of the Maine “Working Class Cabinet.” Secretary of State Matthew Dunlap will chair the committee. PORTLAND, Maine – U.S. Sen. Bernie Sanders’ campaign on Wednesday will formally open its Maine headquarters. The office opening will feature local elected officials, campaign staff and volunteers. This is the first official campaign office in Maine. Information for the public: Doors open 4:30 pm. This event is free and open to the public, but an RSVP is strongly encouraged. Admission is first come, first served. Here again is video from last summer’s Portland rally, as Senator Sanders was introduced by former Senate Majority Leader Troy Jackson of Allagash. Sanders supporters have been conducting phone banks all over the state (Augusta, Waterville and Bangor to name a few) for months. With now seven weeks to go until Maine’s caucus on March 6, the new headquarters allows for even more push to undecided Democratic voters and comes on the heels of news that support for Hillary Clinton is either slipping dramatically or completely gone, depending on the polling. 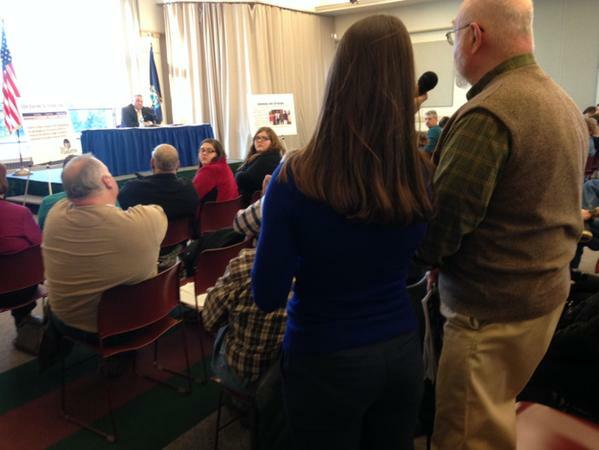 At last week’s town hall meeting in Presque Isle, Maine Governor Paul LePage closed out the event with a jaw-dropping claim that using “2015 mining technology”, aka fracking, doesn’t pollute. A link here to a few articles that dispute his statement. LePage: There’s a billion dollars of gold, in this county, according to the geologists in the state of Maine. I’ve never seen too many people lose money on gold and there are jobs. Woman in audience: They lose money on the clean up after the pollution. LePage: No. If- That is correct, if you use 1950 mining techniques, but if you use 2015, you don’t. We can argue that all day long. Same woman: Do you have an example of a mine that does, that, using 2015 technology, that does not pollute? Same woman: Who? Where? What mine? LePage: Every single uh, fracking mine, uh, every single fracking, uh, operation in the country does not pollute. LePage: We can argue it all day long, but the point is, you’re one billion dollars more. Man in audience: Don’t drink water in Pennsylvania. LePage press secretary Adrienne Bennett: (quickly) Right. Everybody, thank you all very much for your time, I encourage you to grab a booklet if you don’t have one already and again, thank you for your time. Here is a letter published today in the Bangor Daily News in response to the governor’s claims. Gov. Paul LePage’s recent response to a question about oil and natural gas production using a technique known as “fracking” stunned me. While stumping for his budget proposal at a town meeting in Presque Isle, the governor stated there were more than $1 billion worth of gold deposits under Aroostook County. One attendee pointed out that the cost of controlling mining pollution might exceed the value of the gold extracted. The governor disagreed, defending his opinion by claiming the fracking industry does not pollute. The governor’s ignorance about the environmental impacts fracking is scary. Fracking uses enormous quantities of clean water, adding chemicals to make it “slippery.” Once used for fracking, the water is unfit for anything else. It must be treated or injected underground for our children and grandchildren to drink. UPDATE: As presumptive 2016 GOP presidential hopeful Ohio Governor John Kasich will be in Maine tomorrow and holding a press conference with Paul LePage, this seemed a good question to put forth on Twitter. It was reported last summer in Youngstown that a business owner was sentenced to over 2 years in prison for repeatedly instructing his employees to dump toxic fracking waste into Ohio waterways. Ohio Environmental Protection Agency on-scene coordinator Kurt Kollar was among the witnesses. In his testimony he said, “There was no sign of aquatic life, whatsoever,” in a tributary right after the fracking waste discharges, the Youngstown Vindicator reports. According to previous reporting by The Vindicator, Lupo’s lawyers said he ordered his employees to carry out the illegal dumping in order to keep them working because the company’s wastewater wells had been shut over connections to earthquakes. Yeah- because fracking isn’t just disastrous for our nation’s waterways, but has also been conclusively linked- in Ohio- to earthquakes. A series of 77 earthquakes in Ohio — including one strong enough to be felt by humans — was caused by the controversial process of hydraulic fracturing, scientists claimed in research published Tuesday in the Bulletin of the Seismological Society of America (BSSA). Small earthquakes have been attributed to fracking in Ohio before. But those earthquakes were all too small to be felt. Tuesday’s study is the first time scientists have attributed a larger earthquake to fracking, the process of injecting high-pressure water, sand, and chemicals underground to crack shale rock and let gas flow out more easily.